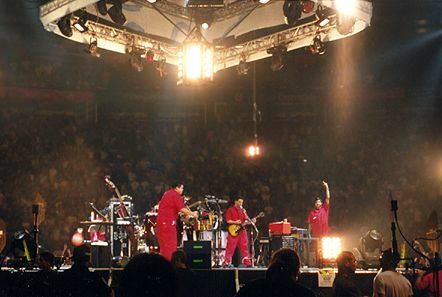 In the Fall of 1998, Intellasound Productions Senior Audio Engineer and Co-Owner Tim Woodworth spent several months on tour with the Beastie Boys. He worked as part of a prestigious crew with one of the most talked about sound re-enforcement systems in recent years. 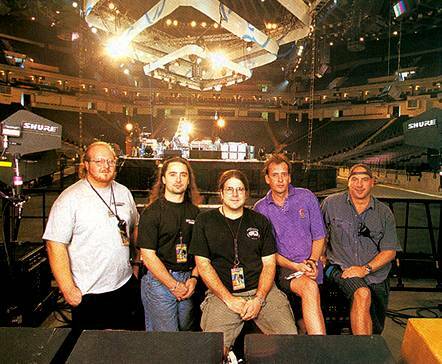 This system and crew received a write up in the January, 1999 issue of Mix Magazine. The Beastie Boys crew, as featured in Mix Magazine, included (left to right) Wade Rice, Tim Woodworth, Steve Wallace, Huw Richards and Bob Lopez. 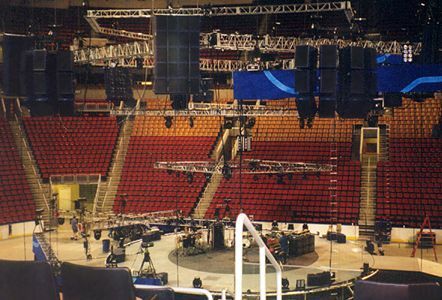 Before the first concert could take place the crew worked for weeks in pre-production which included assembling & testing the sound system and planning tour procedures. 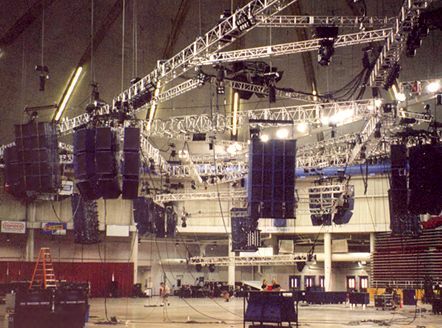 Hours before a concert the light rigs and speakers are slowly raised into position. The Beastie Boys played their "in the round" concerts to sold-out arenas throughout the world.